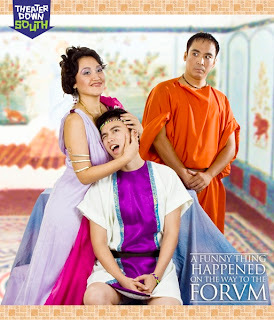 Theater Down South (TDS) presents its next production for 2010 Season, A Funny Thing Happened on the Way to the Forum, Stephen Sondheim’s Tony Award-winning musical farce! A legendary musical theater composer, Stephen Sondheim is the recipient of 8 Tony Awards (including one for Lifetime Achievement), an Academy Award, a Pulitzer Prize and several Grammy Awards under his belt. Inspired by the works of the ancient Roman playwright Plautus, “Forum” marked Sondheim’s first time writing both music and lyrics for a Broadway show, and it remains one of his most popular works. He is the genius behind the play turned into a film, Sweeney Todd. 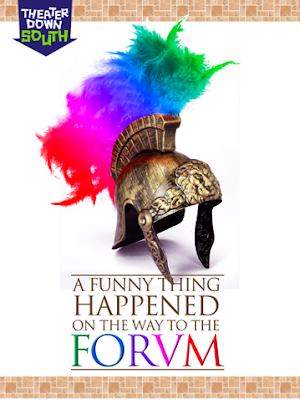 A Funny Thing Happened on the Way to the Forum had its original Broadway run in 1962 and has since enjoyed 2 successful Broadway revivals. Theater Down South’s production coincides with Sondheim’s 80th birthday, which is being celebrated with a year of concerts and revivals worldwide. Theater Down South is dedicated to providing quality live theater experiences for families and communities in the South Metro area, making it accessible to those living in Parañaque, Las Piñas, Alabang and Muntinlupa. The show is directed by veteran stage actor Michael Williams (who is also the company’s Artistic Director) and will be running at the Insular Life Theater, Filinvest Corporate City, Alabang on October 2, 3, 8, 9, 24 and 30, 2010. Tickets will be available beginning August 1 at all Ticketworld outlets and from www.ticketworld.com.ph. Please check out the Theater Down South's presscon details and photos here.